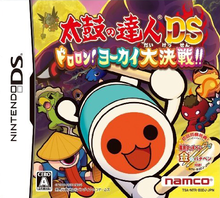 Note: Copy any of the above Taiko no Tatsujin DS: Dororon! Youkai Daikessen!! (Japan) rom download links and paste it into your browser to download. I know this is an incredibly simple question; but what do we do with the savlib, extinfo and the infolib.rar? I have YSMENU but I have no idea what to do with those three files? All of the links are down.